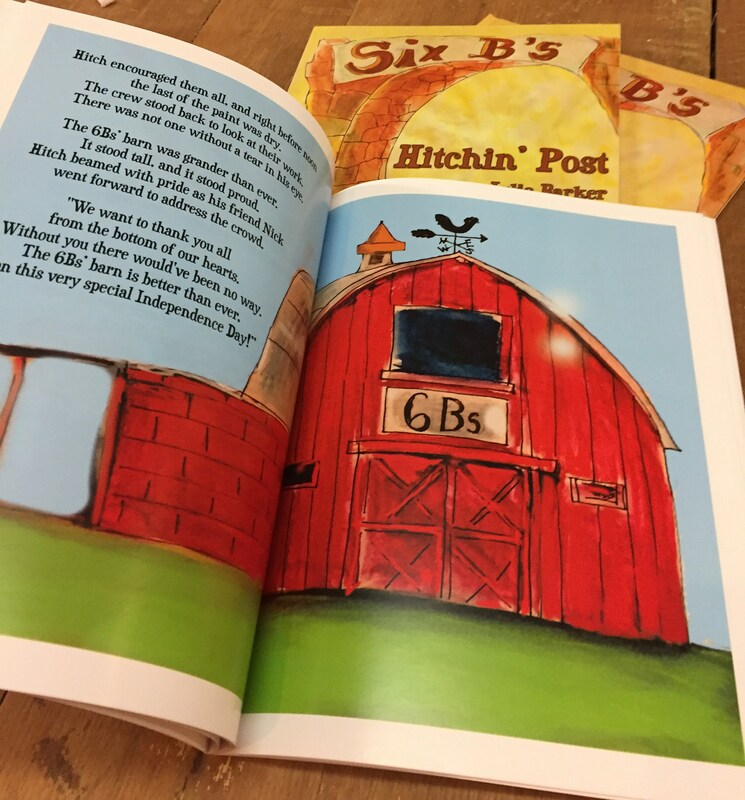 Hitchin' Post, the jackrabbit, is back again with an all new adventure on the 6Bs' Ranch. 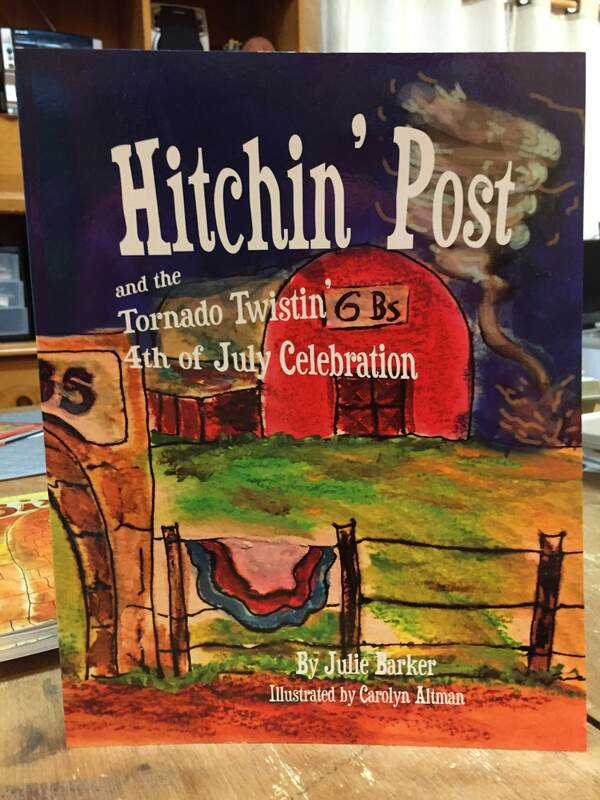 When his brothers come to visit for the annual 4th of July rodeo and dance, a tornado threatens to cut the celebration short. 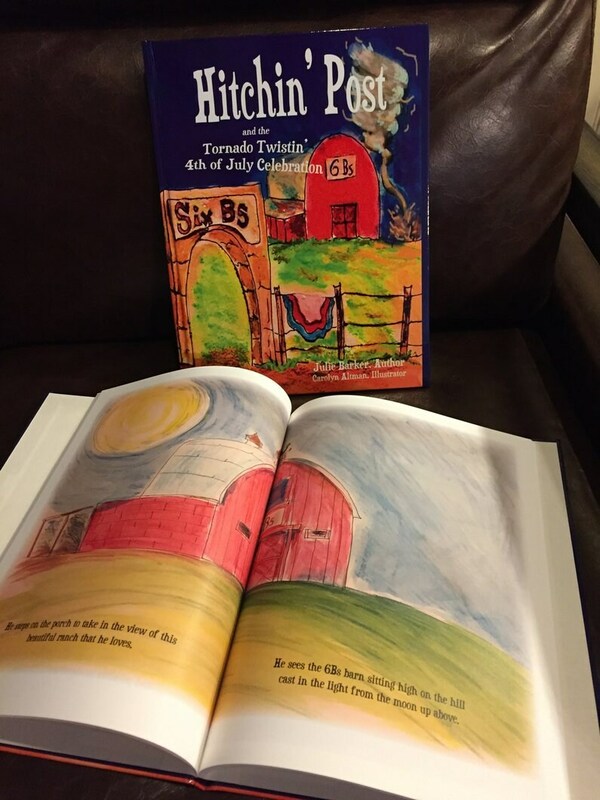 Hitchin' Post shows that even though he is just a small jackrabbit, he has the courage it takes to bring everyone together to rebuild what the tornado has destroyed. Because of old Hitch, and help from his brothers and the cowboys, the 6B's 4th of July celebration will go on! 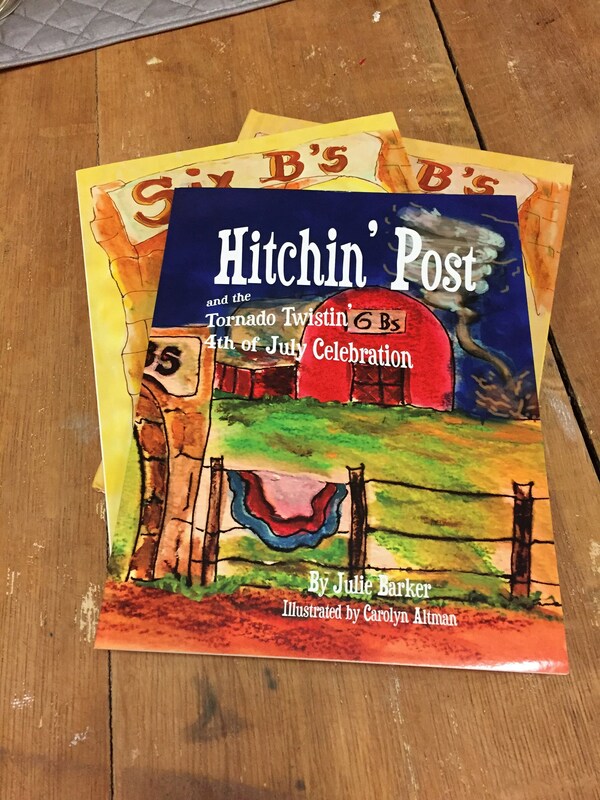 Julie Barker has written her second book in the "Hitchin' Post" series, in which she once again collaborated with her mother, artist Carolyn Altman, who provided the illustrations. Julie enjoys incorporating memories from her childhood with the rich that comes from the ranching heritage. She lives in Quanah, Texas with her husband and three children. The book is a soft cover book. 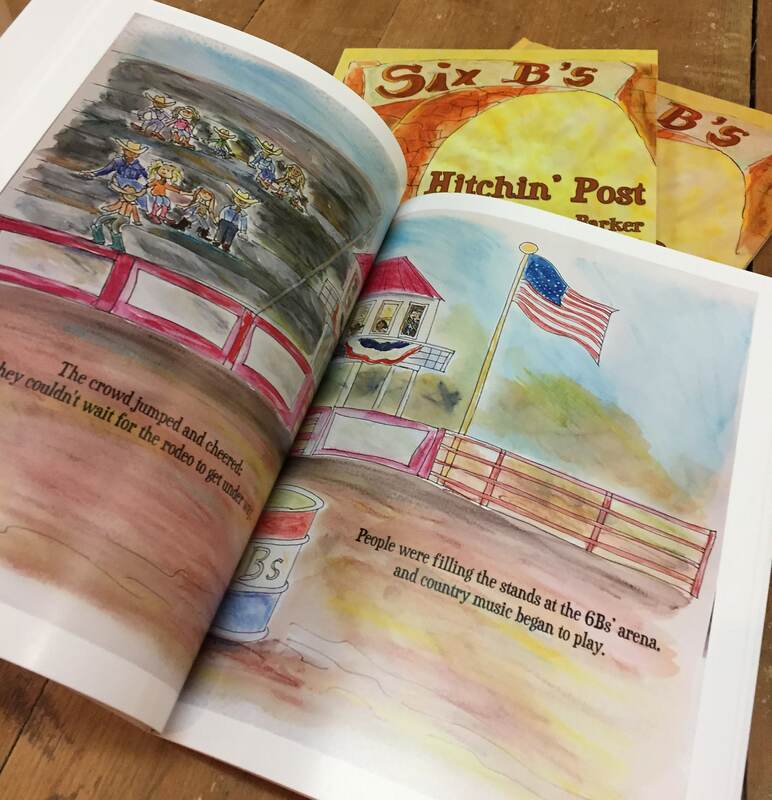 Julie's first book, Hitchin' Post and the 6Bs' Ranch earned the recognition as winner of Reader's Favorite 2017 gold medal in children's general genre. 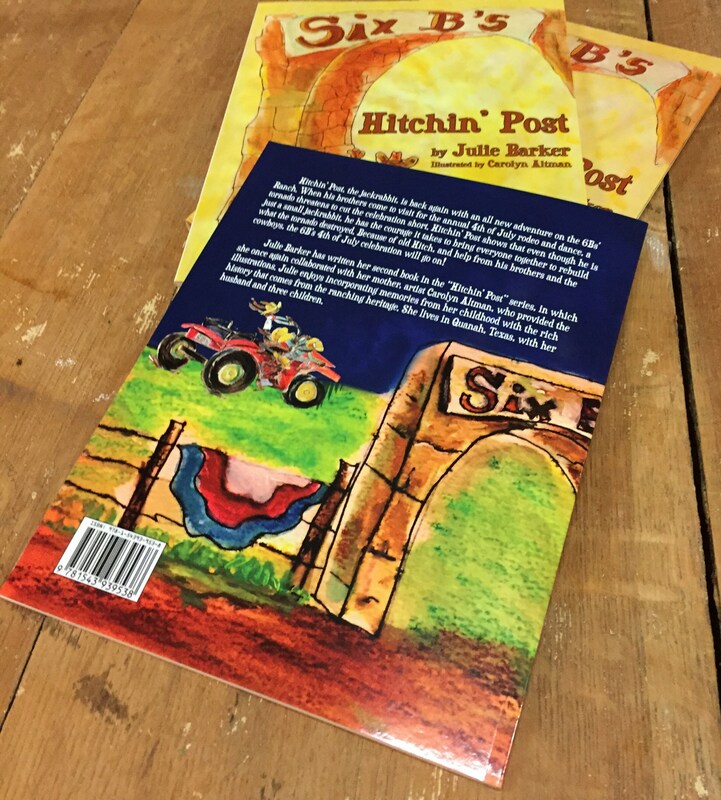 This first Hitchin' Post book may be purchased here.